I wanted to share with you all something super easy and fast. I really think this is great for lunch and even dinner. 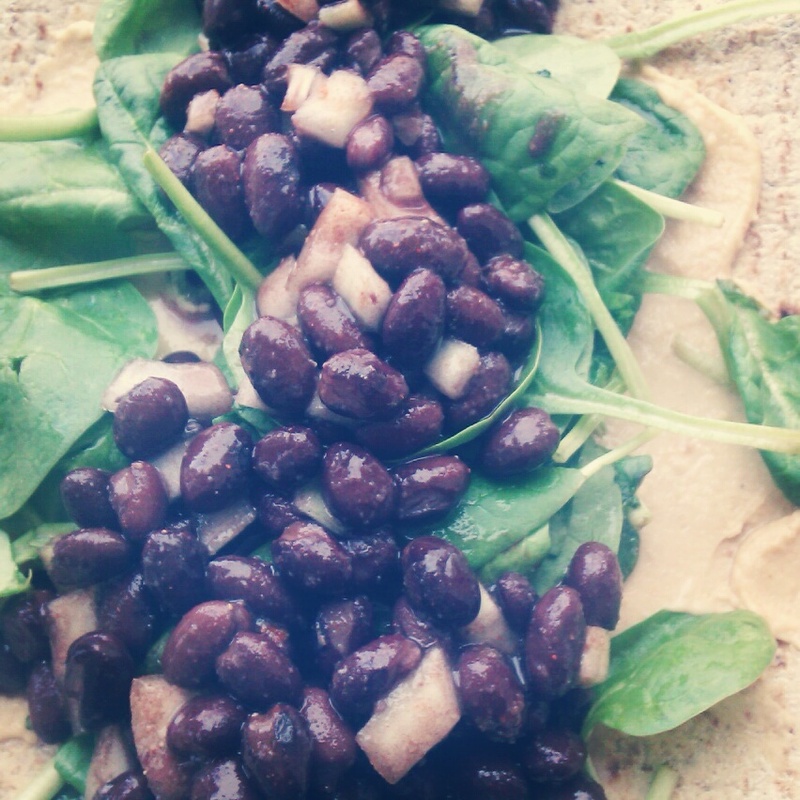 I took a Multi Grain wrap with flaxseed, added some spicy hummus, spinach and some black beans (In my black beans I like to add some chopped onions, garlic powder and cayenne pepper). Totally healthy wrap with great benefits. 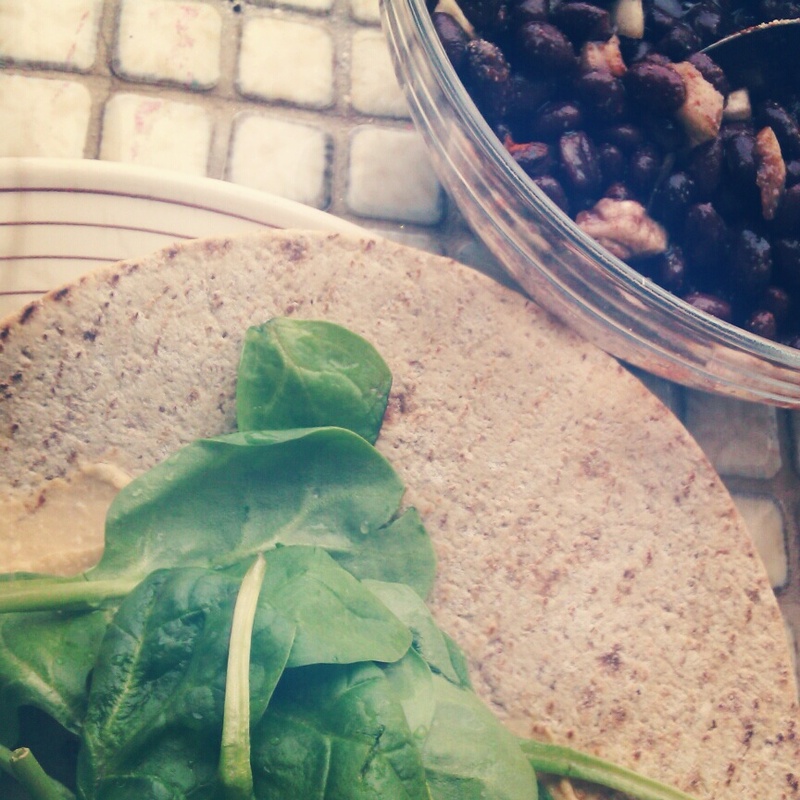 I hope you enjoy this simple but yummy wrap and have a great week. The high quantity of both protein and fiber in black beans help to move food through the stomach to the large intestine at a healthier pace. This keeps any one part of the digestive tract from having to work too hard and supports the ideal balance of chemicals and populations of microorganisms required for a healthy digestive system. Looks awesome, those are three of my favourite foods all put together!